Photo from MSI 2018, at nearby Beehive Basin. Amazing wildflowers! New! Choose a PCN or H.O.P.E Pre-Institute track! Sign up for our Positive Community Norms Intensive for a deep dive into how this approach works. This day-long event will provide the information and insights you need to get a new campaign up and running or get an existing effort on track for success. Additional PCN materials will be provided to those who register. Or enroll in our brand-new Health Outcomes from Positive Experience (H.O.P.E.) Seminar, where you'll develop a better understanding of the effects of childhood experiences on the brain’s growth and development. H.O.P.E. is a complement to ACES-based work that opens exciting new opportunities for promoting health in children and adults. ...Then join us in Boston for even more H.O.P.E! We are thrilled to announce our first-ever Summit on H.O.P.E. (Health Outcomes from Positive Experience) on November 6 & 7, 2019 near Boston, Massachusetts. H.O.P.E. offers a more holistic foundation for programmatic efforts to assess and address child and family needs, and provides an important complement to the entire the toxic stress portfolio. It reverses the ways we typically understand the role of resilience, neuroplasticity, and the developing brain. Research shows that positive childhood experiences both support child development and mitigate the effects of ACEs. This two-day event will explore the research behind H.O.P.E. and its applications for preventing and reducing harm. Registration for this groundbreaking event will open soon. Sign up and mark your calendars for June 25-28, 2018. Bring your family, your fishing rod, your hiking boots -- and your passion for making positive changes in your community. Hope to see you there! Reflection is one of the key habits of a transformational leader. The Transformational Cycle of the Science of the Positive tells us to focus on Spirit first, followed by Science, Action, and, finally, on the Returns hope to achieve. Before you start thinking about the Spirit with which you want to start the New Year, you might benefit by spending some time reflecting on the Returns of 2018. The Seven Core Principle reflections below can help you look back as you plan ahead. Choose to be positive when you look back over the past year. When we reflect on the past with a positive outlook, we grow, learn, and gain energy for the future. “Failures” are simply experiments with outcomes we did not expect. Are there positive lessons to be learned from last year’s negative experiences? The lessons of our past become meaningful in the present. By staying present and mindful, we can see the past more objectively. Think back over the past year: did you spend time looking backward or rushing ahead? How can you spend more time in the present moment in the year to come? Examine the past year with the scrutiny of an objective investigator. This will allow you to ask new questions of yourself — perhaps ones you have been afraid to ask before. There is much we can learn from our experiences, if we can set aside our preconceptions and misperceptions. What wisdom have you gained over the past year that could be helpful in the future? Reflection can help us refine our purpose, and work towards it with renewed determination. If we start from a place of compassion, we can use reflection to understand and grow. What happens when you think about your past year with an attitude of compassion? How can you use these insights to refine your purpose for next year? Although we will never reach perfection, we can always learn from what we’ve done in the past. Ask yourself where you could have devoted more energy to being perfected over the last year. In what areas did you improve? Where can you do better? Reflection takes time and energy. It is through proactive allocation of our most precious resources (focus, time, and energy) that we can learn and grow. Did you take time for reflection over the past year? How could you be more proactive about building time for reflection into your life going forward? Living from our deepest passions allows us cherish our successes and laugh at our mistakes. Celebrating the goodness that we have experienced sustains us. We must dare to be inspired by growth. What passions sustained you over the past year? What passions have you lost connection with that you could rekindle? There were nine steps to Freddish translation. 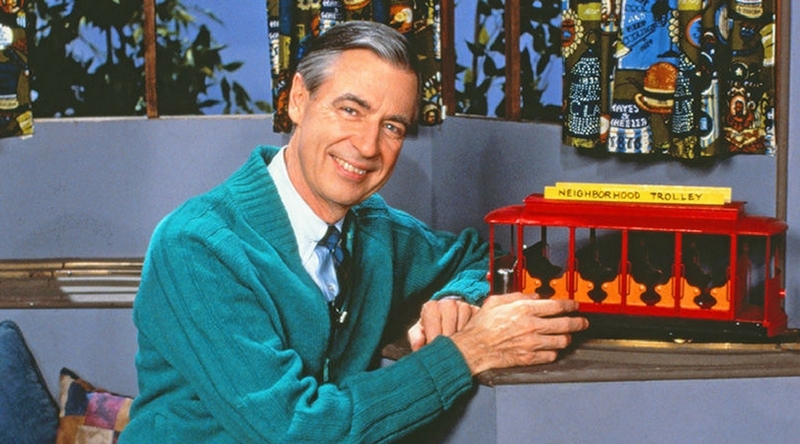 For those of us who grew up watching Mr. Rogers, we would never have guessed the work that he put in to making sure his words were kind, comforting, and useful. Amanda Decker, host of the Organizing for Change Podcast, sat down with our friend and colleague Dr. Robert Sege to talk about the importance of balancing ACEs (Adverse Childhood Experiences) with HOPE (Healthy Outcomes from Positive Experiences). Those of you who have come to the Montana Summer Institute during the past few years have had the pleasure of hearing Bob speak about our HOPE work and the amazing ways in which positive experiences impact the brain. Listen to this podcast to hear more of his insights about this important topic. For more information, you can download the HOPE report on the resources page of our website. Follow the links below to listen to Bob and Amanda’s conversation, and subscribe to the podcast to hear more great insights from people who are changing their communities and the world. Sometimes it seems that all news is bad news. But while there are lots of difficult, challenging, and even scary things happening in the world right now, they are not the whole story. In the Science of the Positive, we always balance CONCERN with HOPE. The news media, unfortunately, does not do the same. During my three decades of health promotion work, I have learned that no problem, big or small, can be tackled without the energizing power of HOPE. Without it, we can be tempted to throw up our hands, walk away, and give up on a lost cause. The folks at Google have cleverly named this the “hope gap,” and they are taking steps to close it using Google Assistant. Just ask your Android phone to tell you something good, and it will reply with a story of positive change happening in the world right now. You can read more about it here, but in the meantime, reflect on what you can do to close “hope gaps” in your neck of the woods. Dr. Barbara J. Green is a psychologist, clinical researcher, and community prevention educator. She serves as the Medical Director of the Youth Health Connection program at the South Shore Health System in Weymouth, Massachusetts. I had the pleasure of meeting Dr. Green last month at a two-day Science of the Positive Institute in Easton, Mass. Dr. Green was inspired to write about some of what she learned at the event for the Youth Health Connection newsletter, and was generous enough to let me share her thoughts here. Enjoy! Dr. Jeff Linkenbach, Director and Chief Research Scientist at the Montana Institute and author, has developed a theoretical systemic approach to assisting communities to positively harness their focus, effort, attention, energy and initiatives. The end goal is to reduce risk and increase protective factors that are environmentally based and sustainable community by community. Dr. Linkenbach has created a cyclical perspective of change: Spirit, Science, Action and Return. At the core is the understanding that Positive guides us, and and that it is concrete and distinct, that it can dramatically impact community culture and behavior. Fundamental to the process is inspired, passionate leadership that is ready to challenge core assumptions, and to steadily lead the community to move forward in a transformative way. He begins with a thorough science based foundation which includes the importance of need to have the courage to challenge, to value data and assessments as essential to having a place from which change gets shaped. By changing perceptions, language, messages we can enable communities to have more robust and lasting positive outcomes. Key to this process is the balance between hope and concern. If we engage our communities with messages of hope, while not denying concern, we create momentum for communities to trust that the solutions are within the community and its people. By focusing on positive community norms we allow for pathways that cultivate cultural transformation. We know that fear and negative can actually cause a retreat in community engagement, the opposite of our goal. To quote Dr. Linkenbach, “ It is time to move beyond health terrorism. If we want health, we must promote health”. We must help communities write stories that communicate positive messages, that include hope, without excluding concern. Insuring correct perceptions are clearly communicated helps increase willingness to develop healthier, safer behaviors. Stay tuned for more information on Dr. Linkenbach and his ground breaking work. The combination of science, spirit and positive are incredibly powerful. I often speak of the goal of “Cultural Sea Change”. Dr. Linkenbach has defined a systemic process for moving toward that goal. You can read more of Dr. Green's writing on her website. "The best learning experience of my professional career." We got our summer newsletter out just under the wire! If you weren't at the Montana Summer Institute this year, we've shared a few select highlights. I hope this inspires you to make plans to travel to Big Sky in July 2018! Read it here. Describe actions related to social norms regarding positive parenting practices;. Reflect upon the positive returns we as a society can expect to see if we support positive childhood environments. HOPE is a terrific example of how the Science of the Positive can be applied to research and policy planning – and I look forward to sharing the next steps in its development with all of you. You can read the entire article online or join us at the Montana Summer Institute where my friend, fellow scientist, and lead author Dr. Bob Sege will present on this important work. We road ahead leads to continued success with a new cohort of Minnesota communities. This is the view from my temporary office. This week I kicked off a 21-day tour of the ten new Minnesota communities that have joined the statewide effort to reduce underage drinking using the Science of the Positive and Positive Community Norms. Together with Phyllis Bengtson and Al Frederickson of the Minnesota Department of Human Services – Alcohol and Drug Abuse Division, we are meeting with coalition members, educators, law enforcement officers, and community movers and shakers who want to learn more about this effort and how to become a part of it. This is truly one of my favorite parts of this work: introducing people to a new spirit and science of prevention, and watching in awe as they dive in and take action to transform their communities for the better. I first read Seeds of Fire, Roots of Hope: Seven Principles of Inspiration for the Courageous Leader in 2012, when Jeff Linkenbach and his team came to Wisconsin to hold an Institute on the Science of the Positive by Children’s Hospital and the Children’s Trust Fund. During the event, participants were given an opportunity to dive into the book, reflect, and discuss the Seven Core Principles of the Science of the Positive. At the time, I was involved in efforts to improve the quality of early care and education. The truth and positivity I found in Dr. Linkenbach’s book was a dose of medicine to my spirit. People I worked with closely were suffering from the fear, negativity, and mistrust that can accompany change that comes by way of legislative mandate. I knew I needed to share Seeds of Fire, Roots of Hope with them, too. Since then, I’ve been weaving the book into my work building community and supporting leaders. Seeds of Fire, Roots of Hope has become a staple in staff meetings, the foundation for a book club, a driver for values-centered strategic planning, a core feature of leadership development efforts, and a go-to gift for social-justice leaders who are dealing with challenges and need a boost. When I was the Executive Director of a statewide early childhood organization in Wisconsin, I started the practice of opening each all-staff meeting with Seeds of Fire, Roots of Hope. I chose a different principle as the focal point for each meeting. Each staff member was given their own copy of the (very affordable) book. They were encouraged to read the chapter on the selected principle beforehand and to respond to the prompts at the end of each chapter. We even included reminders on agendas. Aware that the staff was working at – and sometimes beyond – capacity, we made it clear that it was okay to read it the chapter with the staff during the meeting and jot down responses then. There was no wrong way to participate. Staff shared their favorite quotes and described why particular statements resonated with them. We then reflected on how each principle related to our individual and collective work, and how these principles were showing up in our efforts to achieve our mission. When I decided that I was ready to leave the organization, the book became a touchstone during six months of transition planning. I believe the process was greatly improved because we were so intentionally connecting around shared values. Seeds of Fire created space for us to intentionally connect around shared values and choose a positive approach during a time of significant change. Later, while I served as the Executive Director of the Wisconsin Head Start Association, members expressed interest in staying connected, learning together, and supporting each other outside of our regular meetings. They were hungry for more frequent opportunities to connect in meaningful ways about shared work. We decided to start a statewide book club, and the first book we chose was Seeds of Fire, Roots of Hope. It’s honest, strength-based approach and readability made it a great fit for local leaders who were working hard to deliver family and child development services to vulnerable families. Parents, staff, and directors from Head Start and Early Head Start agencies took part. Participants routinely commented about how valuable they found the book and the conversations it started. Many regularly reminded each other of the lessons they learned from the book in their daily work outside of book club. One person even asked if I could share the Seven Core Principles with their entire staff during a difficult time when funding and service delivery were in question. Knowing from my own experiences how powerful the messages in Seeds of Fire, Roots of Hope are during challenging times, I readily volunteered to share the principles in strategic conversations with the staff in the besieged organization. I received overwhelmingly positive about the value of focusing on the positive during hard times. I had the pleasure of being the lead trainer and co-mentor for two years for an intensive year-long leadership and community development program. Parent leaders were recruited from diverse local early childhood organizations to build their leadership skills and work on a local community development effort of their choosing. Each leadership institute I organized included time to dive into Seeds of Fire, Roots of Hope. Parent leaders engaged in powerful personal and professional leadership work as we reflected together on the Seven Core Principles. There was laughter, tears, and even prayers during our powerful conversations about how to be ethical, impactful leaders. Seeds of Fire, Roots of Hope became an invitation for each of us to be the best version of ourselves at our leadership institutes, within our own families, and during our community work. Seeds of Fire, Roots of Hope sparks meaningful conversations about the hard and joyful work of transforming communities and ourselves – and can be the catalyst for inspired action. I always have a few extra copies on hand to give to other social justice leaders working when they are feeling stuck or down. It taught me to think differently about the challenges I face in my work, and I know it can do the same for you. Lilly Irvin-Vitela was born and raised in New Mexico and is the owner and principal consultant at Common Worth, LLC. Her work gives her the honor and joy of working with people who are committed to accomplishing social justice goals in a relationship-based way. This just in! The Minnesota Department of Human Services has released a report on its 10 year implementation of the Positive Community Norms Framework in 25 school districts around the state. Their conclusion? The title says it all: Youth Alcohol Prevention That Works. The data shows that the "Positive Community Norms framework, combined with the larget prevention planning and implementation grant programs and community engagement, is making a real, positive impact in the rates of alcohol use." Kudos to the foresight and passion of the leaders at the Minnesota Department of Human Services Alcohol and Drug Abuse Division, and to the incredible work of community coordinators, teachers, and parents around the state who championed this powerful, positive approach. Read the full report here. Posters from Deer River's "reasons why" campaign. 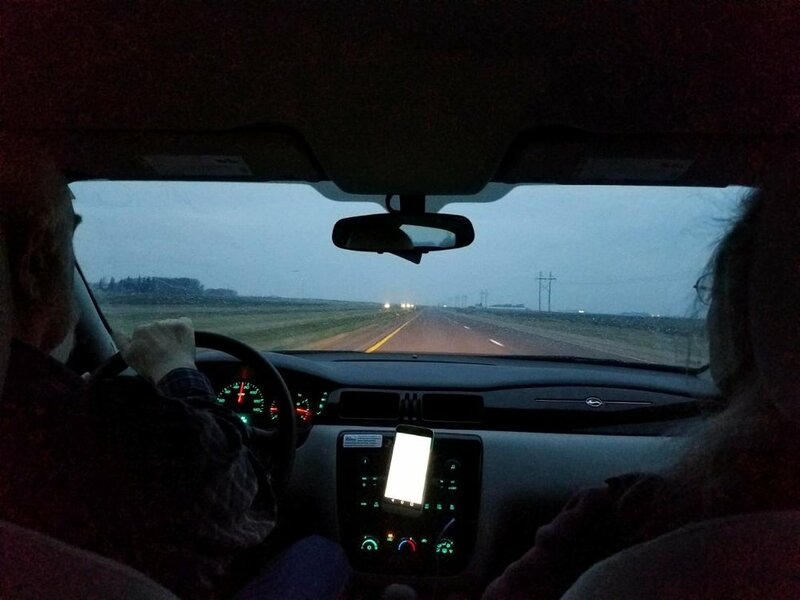 Today’s post comes from friend, colleague, and Positive Community Norms expert Heather Schjenken in Deer River, Minnesota: “Teens today have many reasons why they choose not to drink alcohol. Our youth group decided to highlight them with a “Reasons Why” campaign. The group came up with 81 reasons why they choose not to drink – and shared them with the entire school. What a wonderful way to celebrate positive youth voices!" Reflection is one of the key skills and habits of a transformational leader. The Transformational Cycle of the Science of the Positive tells us to focus on Spirit first, followed by Science, then Action, and, finally, on the Returns we have achieved. Before you start planning resolutions and the Spirit with which you want to start the New Year, you might benefit by spending some time reflecting on the Returns of the past year. Below are some reflections based on the Seven Core Principles to help you look back before you plan ahead. We have a choice in how we reflect on our past – and we can choose to be positive. When we reflect on the past with a positive outlook, we grow, learn, and gain energy for the future. “Failures” are simply experiments with outcomes we did not expect. Try to think back over the past year with a positive spirit. Are there positive lessons to be learned from even your most negative experiences? The lessons of our past can become meaningful in the present. We do not want relive the past, but to look at it from the distance of where we are today. By staying present and mindful, we can separate ourselves from our past and see more objectively. Think back over the past year. Did you spend time looking backward or rushing ahead? How can you spend more time in the present moment? If can be helpful to examine our past with the scrutiny of an objective investigator. We could choose ask the questions we have not asked -- or are afraid to. There is much we can learn from our experiences, if we choose to look. What wisdom have you gained over the past year that could be helpful in the future? The purpose of reflection is to learn for present and future action. Reflection can help us refine our purpose, and work towards it with renewed determination. If we start from a place of compassion, we can use reflection to understand and grow. What happens when you think about your past year with an attitude of compassion? How can you use these insights to refine your purpose for next year? We reflect on our past with a sense of humility to become more effective in serving others, our families, and our friends. Although we will never reach perfection, we can always learn from what we’ve done in the past, and let us guide us in the future. Keeping that same attitude of compassion, ask yourself where you could have devoted more energy to being perfected over the last year. In what areas did you improve? Reflection is proactive work that takes time and energy, but it is worth the investment. It is through this proactive allocation of our most precious resources (focus, time, and energy) that we can learn and grow. Did you take time for reflection over the past year? How could you be more proactive about building time for reflection into your life? Living from our deepest passions can help us cherish our successes and laugh at our mistakes. If we celebrate the goodness that we experience, this energy can sustain us. We must dare to be inspired by growth. What passions sustained you over the past year? What passions have you lost connection with that you could rekindle? Scare tactics, arguably one of the most popular and widely-utilized approaches in prevention history, have been employed for decades to raise awareness about dangerous activities. This strategy ignores the fact that healthy, protective choices are most often the norm. As a society, it is like we have cultural cataracts: our vision has been distorted by the media’s “if it bleeds, it leads” focus on the problems and harm caused by the behavior of a small percentage of people (Linkenbach, 2001). Our media obsessively focuses on problems, risk, and danger, fueling ever more exaggerated perceptions of their prevalence. Ironically, this strategy can create the opposite result from the one we seek. A negative focus creates feelings of powerlessness and hopelessness, emotions that are unlikely to ever create positive change. Fear-based messages are designed to “scare the health” into people by emphasizing the terrible things that might happen (such as death or overdose) if they do not do what the message recommends (such as abstain from drugs and alcohol). The assumption behind fear-based approaches is that awareness of the negative consequences of our actions will result in positive behavior change. Awareness of problems and their risks is critical, but research shows that awareness alone is insufficient to create lasting transformation. Our work has proven that inflating people’s fears can actually create a backlash against the goal of health promotion by supporting and exaggerating misperceptions of negative community norms (Linkenbach, 2001). Using fear to motivate people to action can cause just the reverse: people can become paralyzed by a lack of hope. On an individual level, lack of hope can lead to diminished energy, loss of commitment, and overall poor performance. At the organizational or community level, a lack of hope can lead to despair and reduced engagement. Fear-based approaches can also foster stigmas that divide the community into different groups. Negative behaviors (or negative health outcomes) are strongly linked to the people portrayed as the wrongdoers. We then begin to view these people as dangerous or bad. This stigmatization leads to poor communication, shaming, and a breakdown of community. Fear-based approaches are also hard to maintain. In order to engage our audience, we must create messages that stand out against the onslaught of media messages we receive each day. At a certain point, negative messages get tuned out because they are too, well, negative! We have seen campaigns that were so graphic that people rejected the messages by literally changing the channel. A core assumption of the Science of the Positive is that the solutions are in the community -- that in every community there is positive, undeniable good that we can discover and amplify. By searching for health -- as opposed to its opposite -- we increase this positive energy and direct it towards that which we want to grow. It has been demonstrated that messages that portray health as the normative, expected behavior result in increased health protections and lowered risk (Perkins, Haines & Rice, 2005). Using The Science of the Positive as its guide, Positive Community Norms focuses on the positive, healthy normative attitudes and behaviors we want to grow, transforming our messaging from one of fear to one of hope. There are examples of health and goodness in every community, if we take the time to look for them. We may have to ask different questions and measure healthy behaviors in new ways to uncover these strengths, but they are always there.